Cynthia is an expert marketer. She is not afraid to explore new techniques or to pioneer a different approach from what has been done before. She is fearless in exploiting new ideas, and has the good judgment to use innovation where it is needed while sticking to the tried and true where it is not. Cynthia has an invariably positive outlook, and while Avaya has gone through an enormous transformation over the past year or so, people like Cynthia are who you need to not get focused on the minutia, instead push forward and make things happen. Cynthia continued to work the goals of the company to ensure our 6,300 partner community felt confident and positive about Avaya's future. Distributors and Partners are the most important ecosystem we have and all of my deep routed experience will be extremely important to continue to move our channel model forward. • Ease of doing business with Avaya • Invest in lead generation for our partners to drive revenue to their bottom line, which is ultimately revenue for Avaya • Reward partners for selling technologies, Think Avaya Think Cloud • Recruit and expand existing partners that can help us innovate and capture niche markets using technologies like artificial intelligence and blockchain. This is the FUTURE! My highest admiration goes to Leighann Errico. Leighann does it all and I look up to her both professionally and personally. I chose someone I know personally vs. someone that is famous or an individual that I will never meet or speak to. 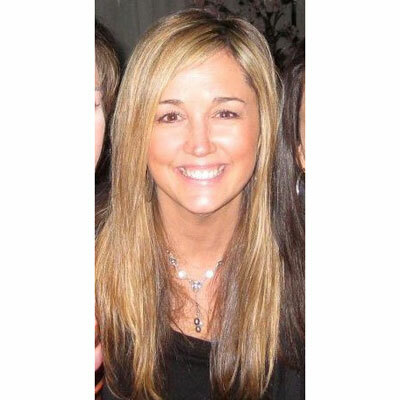 Leighann is not only a Vice President of Human Resources at Daiichi Sankyo, Inc, creator and founder of Wear the Cape™ for all kidkind, certified Leadership Coach and a mother of 4. Her work and personal mindset is one to be admired and I learn from her every time we get together and apply her advice. If I could master any new job related skill, it would be becoming a trainer. No amount of preparation can equip a trainer for everything that can happen. The trainer must be prepared to respond to unexpected questions and events. A trainer is flexible as the planned agenda doesn't always fit the needs of the audience. You adjust the agenda and changes the material so that it meets the audience. This teaches you to work quickly on your feet and be nimble. Once you are training someone or a group of individuals, you are the master of your knowledgebase. The best book I read this past year is Triggers: Creating Behavior That Lasts--Becoming the Person You Want to Be by Marshall Goldsmith. Triggers gives the reader big ideas you can work with in your daily life. Triggers will guide you to reach your full business and personal potential. This book also provides self-awareness tools and ways for the reader to create your own world, rather than being created by the world around you. This book has personally helped me become a smarter, more mindful about the connection between our behavior and our environment.